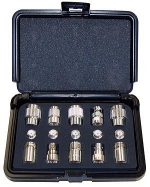 RG-8X Rugged 50 Ohm Coax, connector boot for strain relief. Similar to item shown, NEW. 6 foot RG-214/MIL Rugged 50 Ohm Coax. 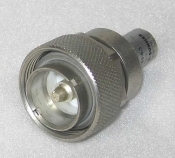 Between Series Adapter Type N Male to UHF (F) SO-239. Between Series Adapter PL-259 to Type N Female. 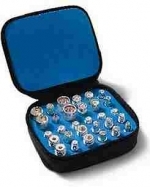 Adapter Type N male to Type N male (New). 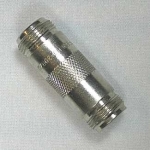 Between series adapter TNC female to BNC male, used in like new condition. 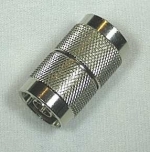 Between series adapter BNC female to Type N Male. 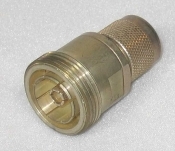 Between series adapter BNC female to UHF male. 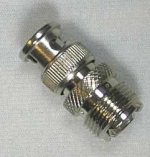 Type N female Tee connector, used in like new condition. BNC 50 Ohm Termination, used in like new condition. Adapter BNC female to BNC female, used in like new condition. 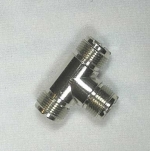 Adapter Type N elbow Male to Female. 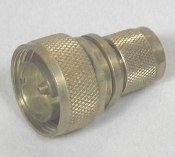 Adapter Type N Tee connector, used in excellent condition, similar to picture but has one Male and two Female connectors. Between Series Adapter 7/16 DIN Male to N Male. Between Series Adapter 7/16 DIN Female to N Male. 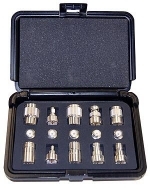 Between Series Adapter 7/16 DIN Male to 50 Ohm Termination. Used in Excellent condition. Between Series Adapter 7/16 DIN Male to N Female. Adapter 7/16 DIN Female to 7/16 DIN Female. Adapter 7/16 DIN Male to 7/16 DIN Female. Adapter 7/16 DIN Male to 7/16 DIN Male.